Stop me if you’ve heard this one before. “My website’s actually getting pretty solid traffic, but I just can’t get people to buy.” You’re busy, so we’d like to dive deep into the issues, and suggest 3 simple and proven ways to optimize your checkout page for better conversion rates. Let’s face it, there are plenty of subtle reasons for people leaving your e-commerce website without making a purchase. 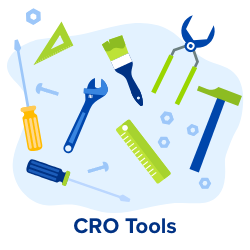 If you really want vague discussions on conversion rate optimization (CRO), try doing a Google search. You will see more or less the following picture. While most of these articles are posted at respected marketing websites, listing so many possible improvements makes us wonder if any are worthy of your attention. In this article, we’ll discuss just one conversion tactic that will just help you turn more browsers into buyers: your checkout page. Users are irritated by some simple things, that you can easily fix. These include slow checkouts, inability to buy without an ongoing account and the hidden costs that appear at the last minute. Slow checkout processes – often caused by lack of testing! Below, we’ll list some things e-commerce websites tend to miss out on at the checkout stage. These are the most common failures (and sometimes, minor misses) a would-be customer might meet at popular e-commerce sites. 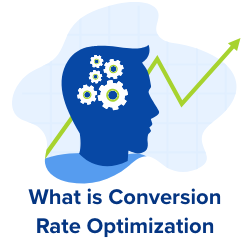 Then, we’ll give you some practical advice on moving toward conversion rate optimization across each of these points. 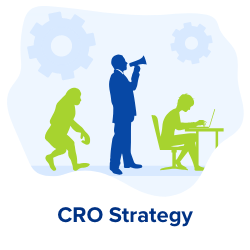 Conversion rate optimization is a very complicated thing. You may call it an art, or a science, but getting nothing but positive results is tough to achieve. The thing is, obvious and clear changes can sometimes turn a visitor into a buyer in a blink of an eye. Adjustments can be made on the fly, without digging deep into the code of the website. Based on 37 studies, the average US cart abandonment rate is over 69%, according to Baymard.com. Meaning that it is tremendously important for online merchants to know what made potential customers leave at that point in the process. The most popular reason listed by U.S. shoppers was “I was just browsing/not ready to buy” (58.6% of respondents). The remaining 42.4% of users who were more or less inclined toward buying something at the site left for reasons you can see the chart below. 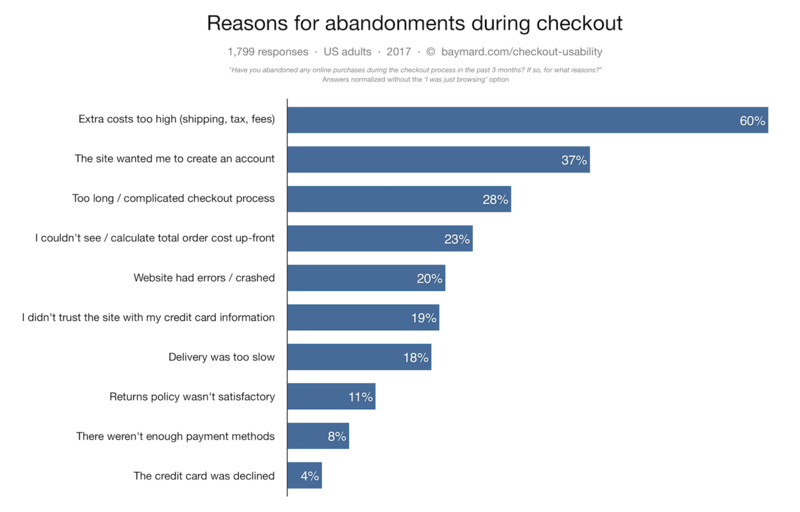 Let’s focus on the third-most popular reason for abandoning the online cart: a too long, or too complicated, checkout process. Which accounts for a major decrease in potential conversions. There are plenty of options for how you optimize your checkout page. 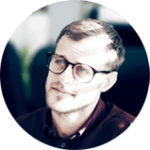 For instance, not so long ago one of the most popular discussions was about which performs better — a single-page or multi-page checkout. The single-page option converted 21.8% more than multi-page, at the same store. But that doesn’t mean absolutely that single-page checkouts are always the more effective option. Their obvious advantage is that they require fewer clicks, making them the preference of customers who are less inclined to fill out forms. But sometimes a single-page checkout is annoying in a different way: it requires scrolling, lots of scrolling. Just have a look at the screenshot of the Macy’s website, which will make you wonder if putting all the fields on a single page is really such a great idea. An experienced eye might still see plenty of areas for improvement here (we’ll speak of those in the next section), but the general impression is much more user-friendly than Macy’s, even though the process seems fairly long anyway. If making a purchase on your website is so simple a child could do it, you’re doing it right! The perfect example of great child-friendly web practices is in-app purchases. Kids have carried out an immense number of in-app purchases, so many in fact that Amazon had to pay back $70 million to parents who were billed for their kids’ unauthorized purchases. But why did this happen in the first place? Because it was so easy a 3-year-old kid could do it. As a customer, by the time you’re ready to buy you’ve already looked at twenty different products, compared everything, read reviews. Chances are, you’re tired and frustrated. The last thing you want to do now is to fill in lots of forms. And the last thing a shop owner wants is to see you leave without a purchase. 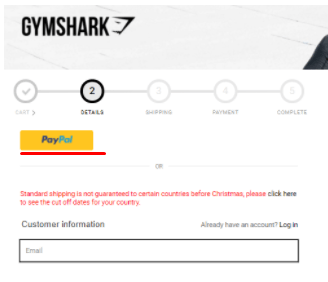 Take a Shopify checkout page we mentioned earlier — the one at GymShark. This is one of Shopify’s top sites. So how did that distracting PayPal button end up there? There is nothing wrong with the pay system itself. On the contrary, using an alternative payment method is always welcome. Yet, we see that payment information is requested at the end of the process, while the PayPal button is in the “Details” section. Anything you ask on the checkout page should be vital for completing the order. All you need is the shipping address and minimal info about the customer — only the pieces of information needed to complete the deal, and nothing more. Think about it this way: every time you ask a user for an additional piece of information about them, you lose sales. The order in which you ask for information is also important. People are usually cautious about credit card security. Asking for payment information too early in the form is a mistake. GymShark does a pretty good job of this; they don’t ask for gender or referrals information, for example, and have a pretty minimalistic design. Among other things, you might suggest that Google autofill forms to make it easier for your “baby” customers. Make sure your website supports this. It speeds up the checkout process and is supported by the most popular browser: Chrome. You might consider offering various kinds of bonuses right at the checkout page, a chance to help the indecisive customer finally decide to buy stuff from you. You may have noticed that the number one reason for not converting at a checkout (leaving aside the “I was just browsing/not ready to buy” users) is extra costs, precisely the shipping fees or taxes. David Bell, professor of marketing at Wharton Business School, found in a survey of online retailers that 60% concluded free shipping was one of their most successful marketing tools. A Forrester study showed that 61% of customers prefer free shipping to equivalent discounts. One of the main reasons for the immense popularity of Amazon Prime, a paid subscription service now used by 90 million U.S. customers, is that it offers fast and free shipping. As you can see from the image below, the company prefers to write those words in caps. Perhaps the best advice for e-commerce businesses here is to work hard at making free shipping offers rather than offering discounts, if you have a choice. If you don’t have the opportunity to offer free shipping, you might consider posting a price for the items in the “right” way. In the test that they ran “$69.95 plus $12.95 shipping and handling” performed better than “$82.90 including shipping and handling”. Buyers were less likely to recall the full total cost and were more likely to remember the product’s cost, so the first example seemed cheaper, even though it added up to the same amount. One of the world’s largest retailers, Amazon, posts the cost of orders in this fashion. So remember, if you can’t offer a discount or free shipping, give your customers the bad news in the right way. Want to find out more about checkout pages? 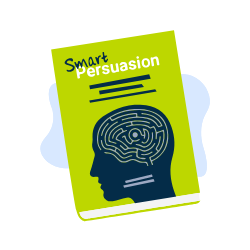 You can read more about Ecommerce on our blog or discover 200+ ecommerce conversion tactics then implement them on your website and AB test in minutes with Convertize SmartEditor™. 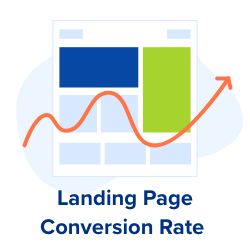 Everyone hates to be the bearer of bad news, but if you’re reading this it’s probably because your conversion rate is very low, and you’re concerned about how to fix that. We always advise paying closer attention to your customers’ problems and trying to adjust to make things better for them. Potential customers don’t like long checkout processes, so ask for only strictly necessary information. Simplifying the checkout process. Shortening the number of fields at a checkout page makes the process faster. Make the page as simple as possible, so a child could complete it. A/B testing the page to see if a certain change makes a positive difference. This is mandatory. Testing helps to define your most effective direction. Offering free shipping. It’s 2018, and shops that don’t offer free shipping will seem to customers to be stuck in some long-ago era, say 2013. Tell us about the checkout page at your website. What have you done to improve it? Do you A/B test checkouts at your store relentlessly to improve your conversion rate? We’d love to hear from you in the comments section.